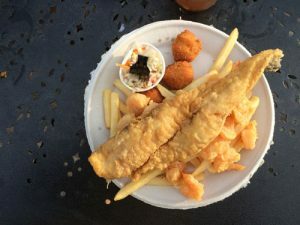 Seafood may not be barbecue but a good fish fry outdoors with friends comes pretty close. Seafood and barbecue both share some room on the plate for hush puppies (grab our free Sauces and Sides book for a solid hush puppy recipe). Not sure how hush puppies ever got into the barbecue category but I think it has to do with Jamaican festival). Also barbecue and seafood are almost always served with a few sauces. Lately I’ve been feeling cheated at a few seafood houses for being stingy with the Tartar sauce so below (and in the video) are a few quick recipes so you can make cocktail sauce and Tartar Sauce in the comfort of your own home. 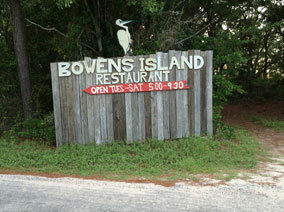 The video also features a visit to one of my two favorite seafood shacks of all time: Bowen’s Island. 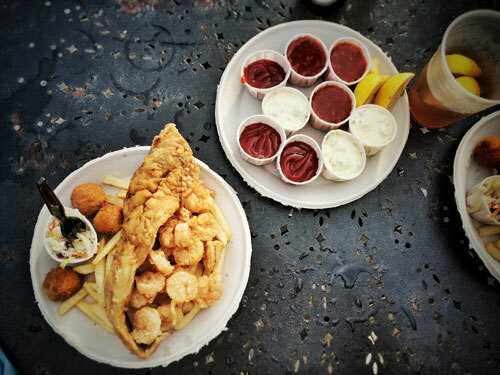 The other is Tybee Island’s Crab Shack. Neither has ever short changed me on Tartar sauce. Combine your favorite Ketchup with horseradish to taste. Combine all ingredients in a small bowl and mix thoroughly. Allow mixture to set in refrigerator for at least an hour before serving.